Sean Szymkowski November 13, 2018 Comment Now! Hyundai's first real step into the hot hatch segment, at least in the United States, will come with a competitive base price. 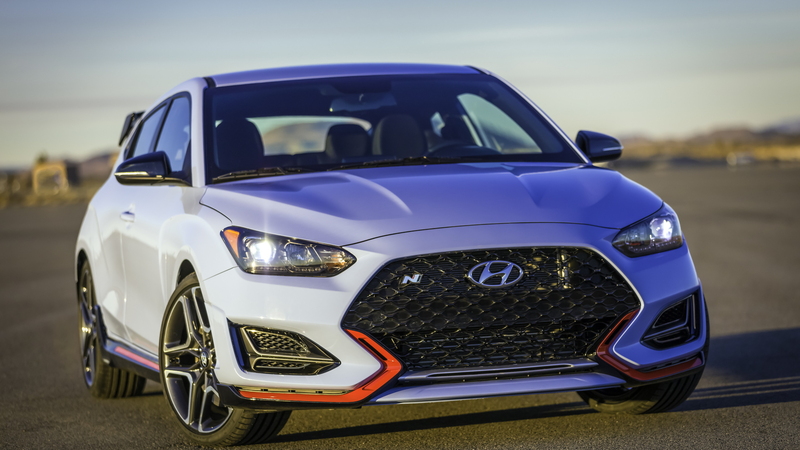 The Korean brand on Tuesday revealed the 2019 Veloster N will start at $27,785, including destination. The base price will net buyers a 2.0-liter turbocharged inline-4 that makes 250 horsepower paired and comes paired to a six-speed manual transmission only. Other performance upgrades over a standard Veloster include electronically controlled suspension, 13-inch front and 11.8-inch rear brake rotors, 18-inch alloy wheels wrapped in 225/40 R18 Michelin Pilot Super Sport summer tires, and a driving modes selector with various modes (Normal, Eco, Sport, N, and N Custom). 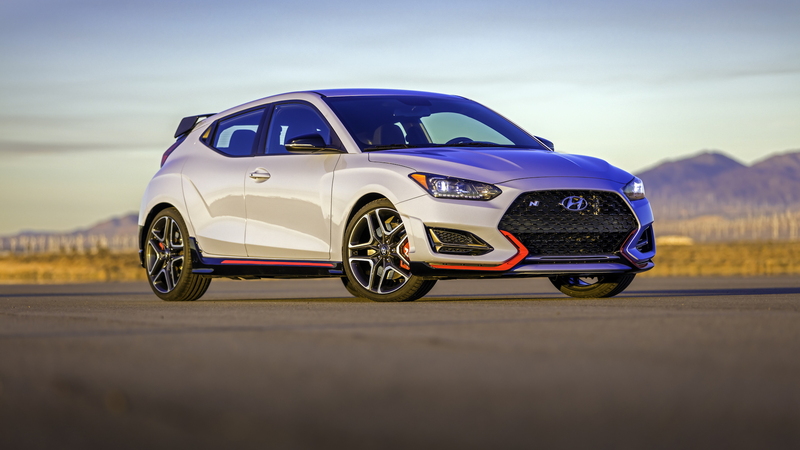 Base Veloster N models also earn cloth sport seats, a custom steering wheel and gear knob, an 8.0-inch infotainment screen, larger exhaust outlets, and an Infinity premium audio system with eight speakers and a subwoofer. An optional N Performance package will add $2,100 to the price, but for those looking for the most from the Korean hot hatch, it's well worth it. 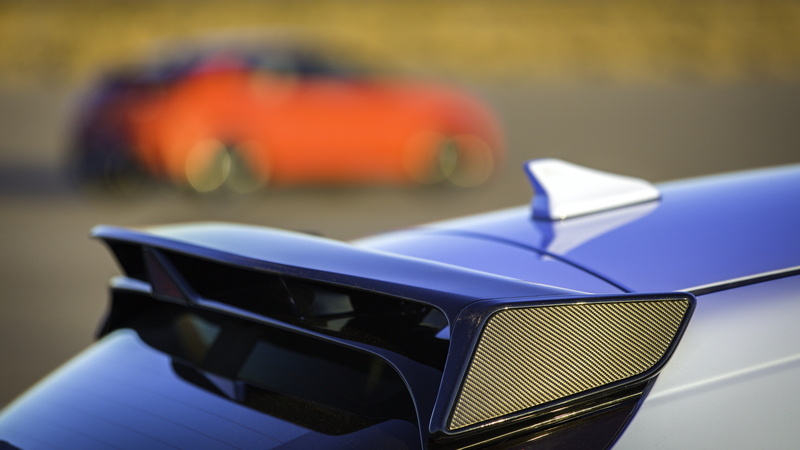 The package pushes power to a healthier 275 hp and adds a limited-slip differential. A variable exhaust system is included, as are larger 19-inch alloy wheels. Upgraded rubber comes from Pirelli in the form of P Zero summer tires that measure 235/35. The package also adds larger brakes—13.6-inches front and 12.4-inches rear. 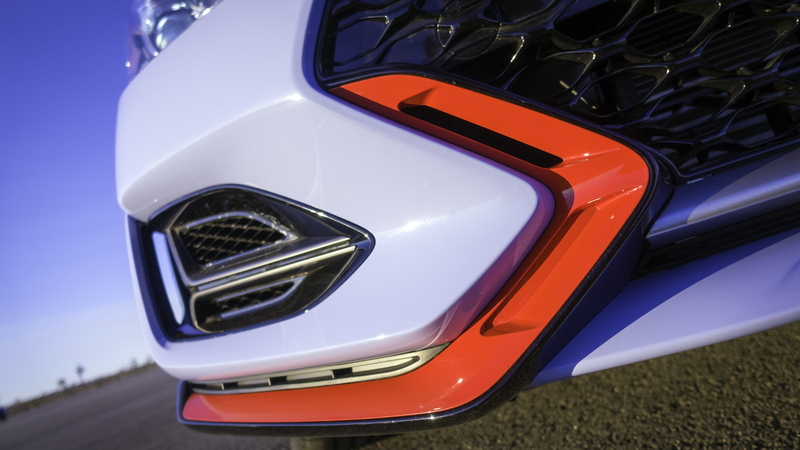 Unlike the base Veloster N, both the front and rear brakes are also ventilated with the N Performance package. For some comparison, the prices peg the Veloster N as slightly more expensive than the founding father of hot hatches, the Golf GTI. A base GTI S costs $27,310 after destination, but the Veloster N also makes 30 more hp in its base trim. The Korean hatch is also cheaper than a 2019 Honda Civic Type R, which costs $36,595 but makes more power at 305 hp. 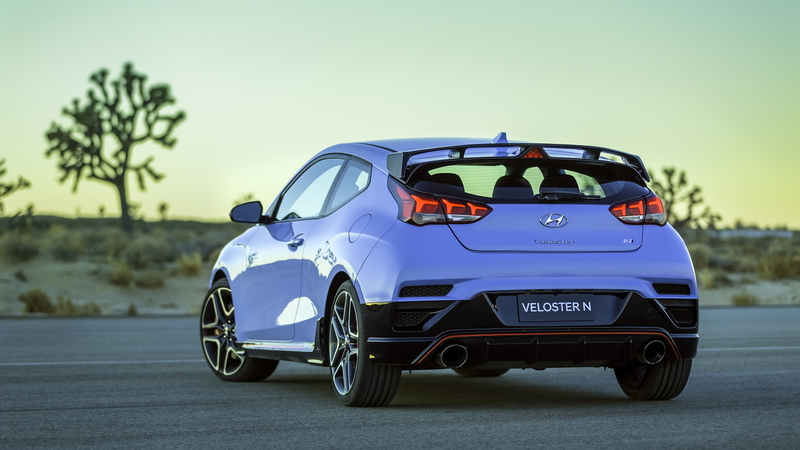 In our first test of the Veloster N, we found it incredibly fun to drive on the track, although somewhat harsh on standard roads when fitted with the N Performance pack's 19-inch wheels and more aggressive tires. The standard 18-inch wheels should help cure some of the rough feels we experienced. Hyundai began production of the Veloster N this past September, and buyers will find the hot hatch on sale now.